The opossum is also commonly known as a possum and is considered the only marsupial in the U.S, meaning once born, the offspring must find their way into the marsupium (or pouch) to latch on and nurse from a teat. 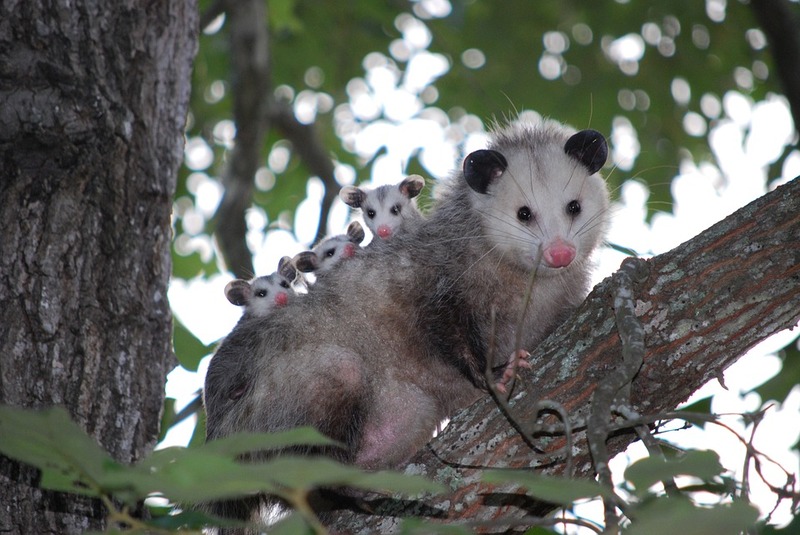 Female opossums give birth to very large numbers of young but most of which typically fail to attach though as many as thirteen can attach and survive. Opossums are nomadic and generally enjoy solitude, staying in an area as long as water and food are food and water are easily accessible. They will temporarily occupy abandoned burrows or under houses because they favor dark areas, accessible areas above or below the ground. Most famously know to "play possum", the opossum will involuntarily react when threatened or harmed, imitating the appearance of a dead animal.